Mr. Shafer earned a B.S. degree with high distinction in business administration from the New Albany campus of Indiana University. An accounting major, Mr. Shafer is a member of the Beta Gamma Sigma honors fraternity for business students, and is a Certified Public Accountant. He was a Field Examiner for the Indiana State Board of Accounts for eight years. After leaving the Board of Accounts, he served as Business Manager for the Madison Consolidated Schools in Madison, Indiana. Mr. Shafer is currently the Chief Financial Officer for the Zionsville Community Schools, and has held that position since April, 1998. Mr. Shafer is member of the Indiana Association of School Business Officials. Since 1999 he has served as a member of the Board of Directors of the Indiana Gospel Music Festival. Mr. Shafer is also a member of the Zionsville Lions Club. He and his wife Cheri have one daughter, Rachel, a graduate of Zionsville Community High School and a 2006 graduate of I.U.P.U.I. Mike, Cheri, and Rachel perform with Right Spirit, a well-known Southern Gospel group. Right Spirit records for Journey Records in Nashville, Tennessee. Mike Shafer is the manager and on-stage MC for the group, and plays the fiddle. 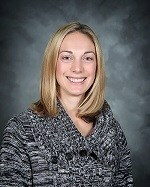 Becky Coffman began her career in Zionsville as a middle school science teacher and coach in 2001. She transitioned from classroom to serve as the ZMS Assistant Principal from 2007-2012 and in 2012 was named Principal of Union Elementary. As a school administrator, Mrs. Coffman has served as a School Safety Specialist and liaison with various Boone County public safety partners. Mrs. Coffman graduated from Butler University with a Bachelor’s degree in Biology with secondary education certification and also holds a Master’s degree in educational administration. She and her husband reside in Zionsville along with their three young children. It is Mrs. Coffman’s mission to serve the families in our Zionsville community by providing an outstanding learning environment for all students. 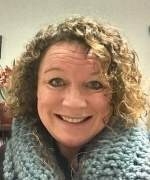 Kris Devereaux joined the Zionsville Community Schools as an administrator in 2007 after serving 12 years as an English teacher and gifted/talented instructor in MSD Pike Township and Westfield Washington Schools. In addition to these educational roles, she also served as an associate professor for the College of Education at Butler University and Director of Education at Clowes Hall. She has also served as a peer coach to struggling schools through Indiana University’s Effective Leaders Academy. Ms. Devereaux graduated from Indiana University with a Bachelor's degree in secondary education and from Ball State University with a Master’s degree in K-12 curriculum. She has presented/consulted with groups of educators statewide on a variety of topics in curriculum and instruction. She and her husband Andy, an educator at Fishers High School, have two children. Her unwavering belief that children are incredibly capable and that teachers play an important role in stretching children to the best version of themselves is what drives her daily practice and interactions. Dan Layton joined the Zionsville Community Schools as a science teacher in 2005 and taught Biology, Genetics/Biotechnology, and Advanced Placement Biology. He also coached the Boy’s Tennis team to state finals appearances in 2008, 2009, and 2010. In 2008 he developed the school’s first hybrid online class which led to him winning the IPL Golden Apple Award in 2010 for innovation in the classroom. He left the classroom in 2012 to become assistant principal at Pleasant View Elementary in Zionsville. 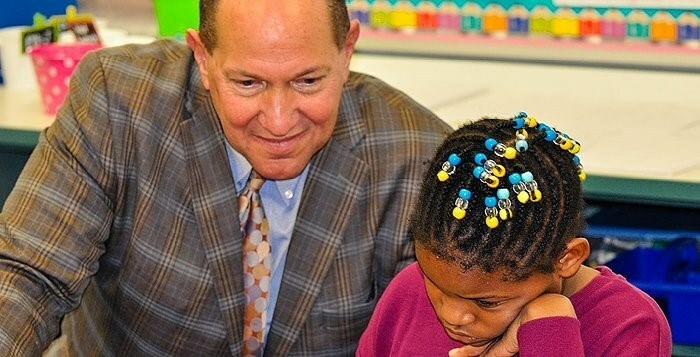 In addition to these educational roles, he has also taught graduate level courses at the University of Indianapolis and has presented at numerous conferences on the purposeful integration of technology into the school system. Mr. Layton graduated with a Bachelor’s degree in secondary education (major in Biology) and a Master’s degree in educational administration from Ball State University. He and his wife Jenna, a nurse at OrthoIndy, have three children that keep them entertained at all times. Mr. Layton firmly believes in the massive potential of our youth to not only be prepared for the “real world” but to be prepared to make the “real world” a better place through their ability to generate ideas, see those ideas to fruition and to defend the worth of those ideas. Casey Allen joined the Zionsville Community Schools in the Fall of 2017. She has spent her career in special education as a teacher and administrator. Mrs. Allen was a special education teacher in the Indianapolis Public Schools for 7 years at the middle school and high school level. She then served as a special education teacher and the department chair for special education at Fishers High School. In 2007, Mrs. Allen began her 8 year role as the Assistant Director of Special Education for Hamilton Southeastern Schools. Mrs. Allen holds a Bachelor’s Degree in Mild Interventions, a Master’s Degree in Educational Administration, and the Director of Exceptional Needs licensure. She and her husband Eric reside in Whitestown with their four children. Zionsville Community Schools is her family’s home school community. Mrs. Allen’s true passion lies in serving alongside teachers and administrators to help every student achieve their greatest potential. The Educational Services Center is located at 900 Mulberry Street, Zionsville, and connected to the Freshmen Center of the Zionsville Community High School. The hours are 7:30 a.m. to 4:00 p.m.